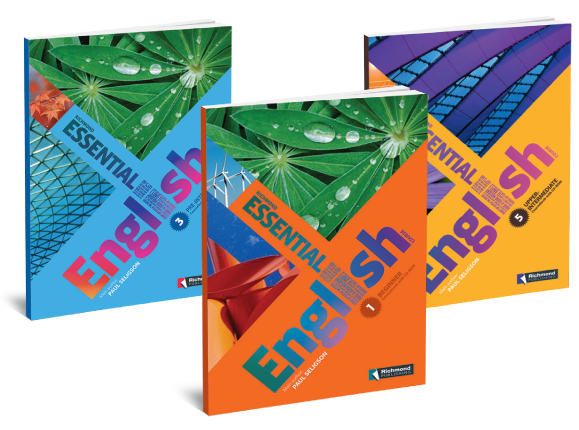 Richmond Essential English is a flexible five-level short course, designed for adult and young adult learners who want to improve their English quickly. Richmond Essential English is a flexible five-level short course, designed for adult and young adult learners who want to improve their English quickly. It takes students from beginner to upper intermediate level and is ideal for intensive courses with 30-60 hours and particularly summer schools. The integrated Activity Book and CD-ROM package provides plenty of practice and makes Essential English the ideal one-stop component for learners. Students will improve their English and build their confidence in record time.